Sandy Oasis sits quietly in the Sandy Ridge neighborhood. 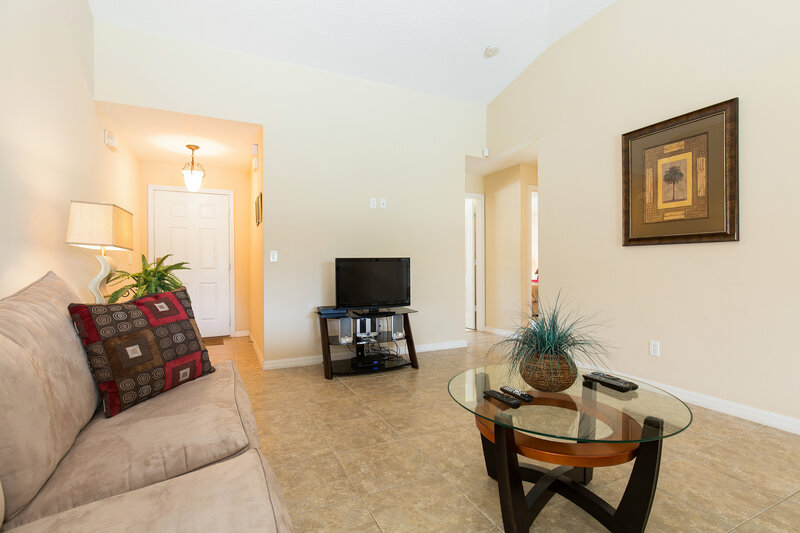 The home has a large living room area that leads out to the back patio deck and pool area. 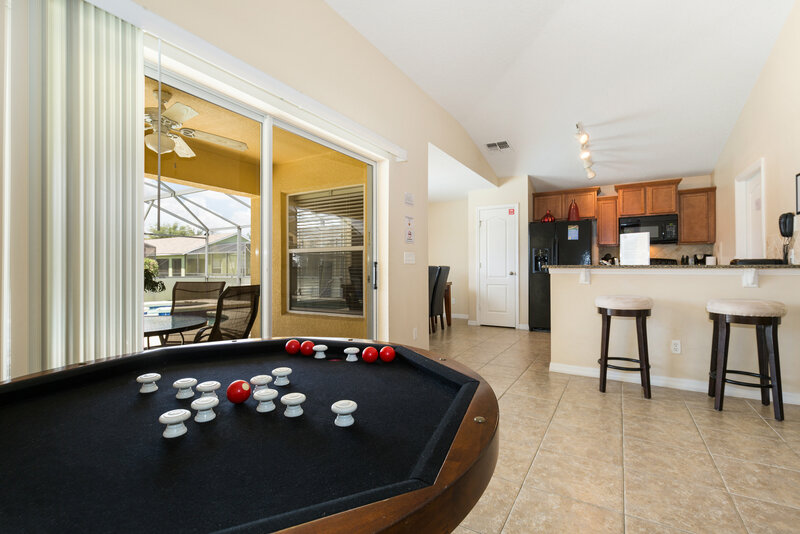 The living room has comfortable seating for the family with a bonus 3-1 traditional style gaming table on which people can play bumper pool.The kitchen area is a quaint space to pack lunches on the go or meals for the entire family. 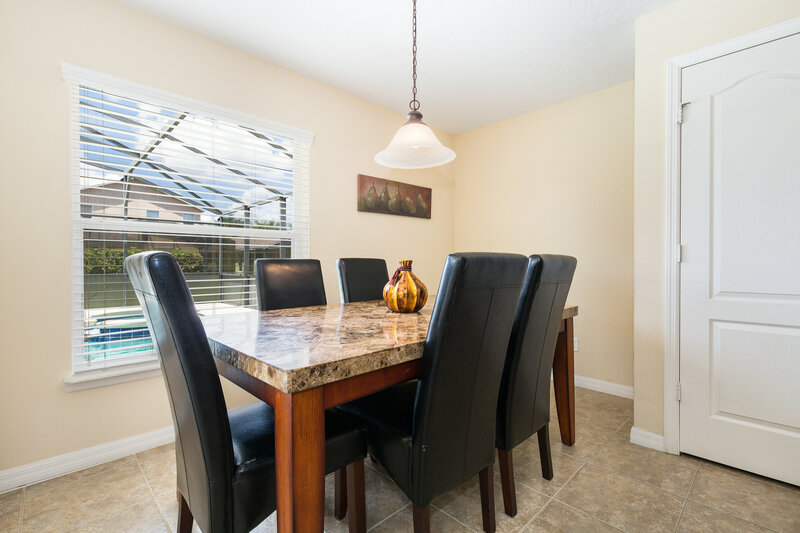 Next to the kitchen there is a breakfast/dining nook area, great dining area for formal dinners with loved ones. This house has three bedrooms. 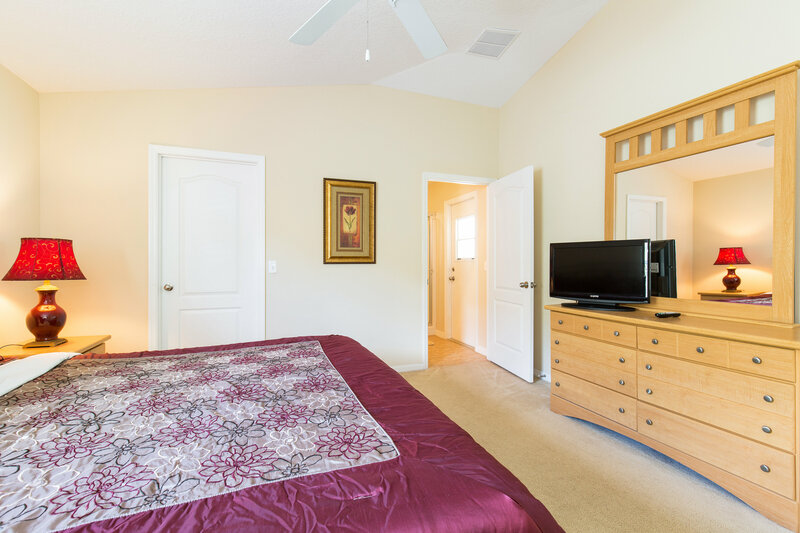 One king master bedroom with private bathroom and shower, with the door that leads to the pool. 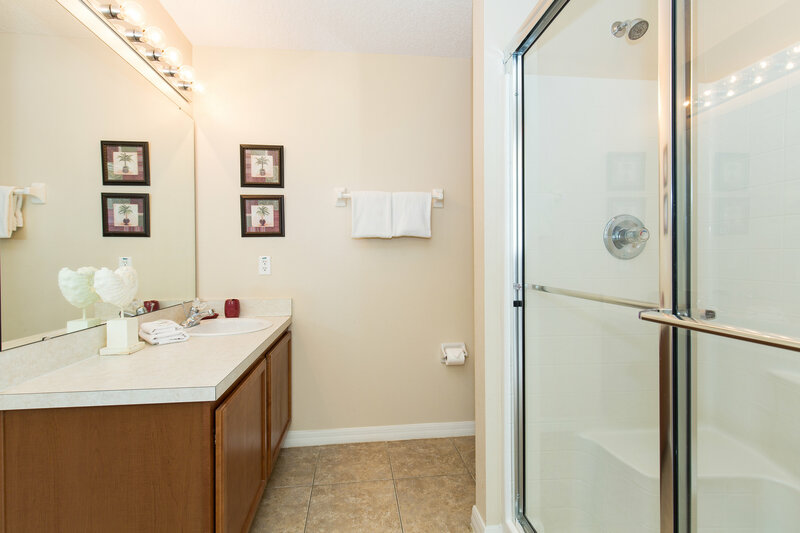 The queen bedroom also has its own private bathroom with a shower, toilet and large mirror with great lighting. 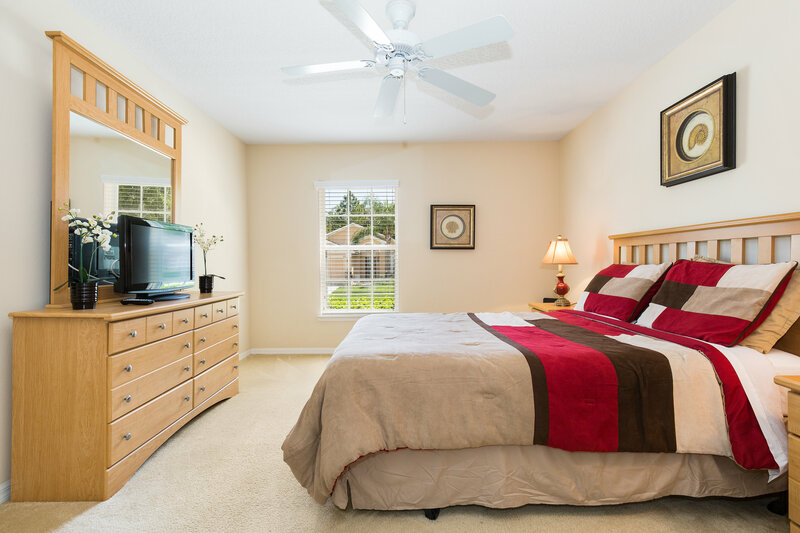 The twin bedroom is great for kids or teens to share. There are three TVs in the home. One in the living room and one in each double bedroom. The outside dining area is a family favorite. 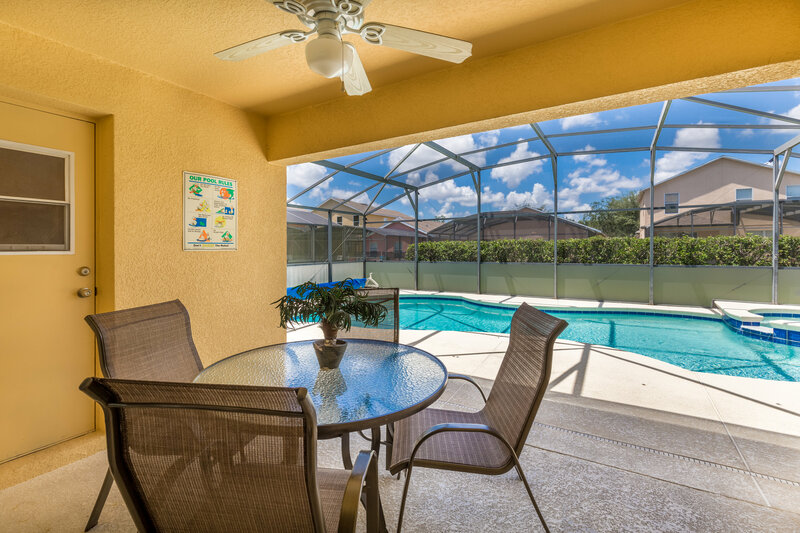 Enjoy nice lunches and dinners poolside, while sitting on the deck and watching the kids play out in the pool. Enjoy a relaxing time in the private pool or spa--with lounge chairs on the deck. 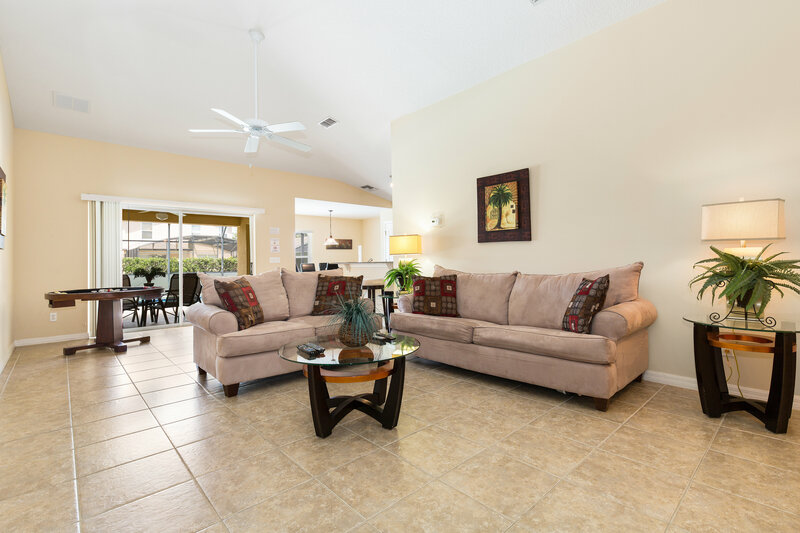 Sandy Oasis is a lovely home that any small family will enjoy-- set and ready to accommodate and entertain!! 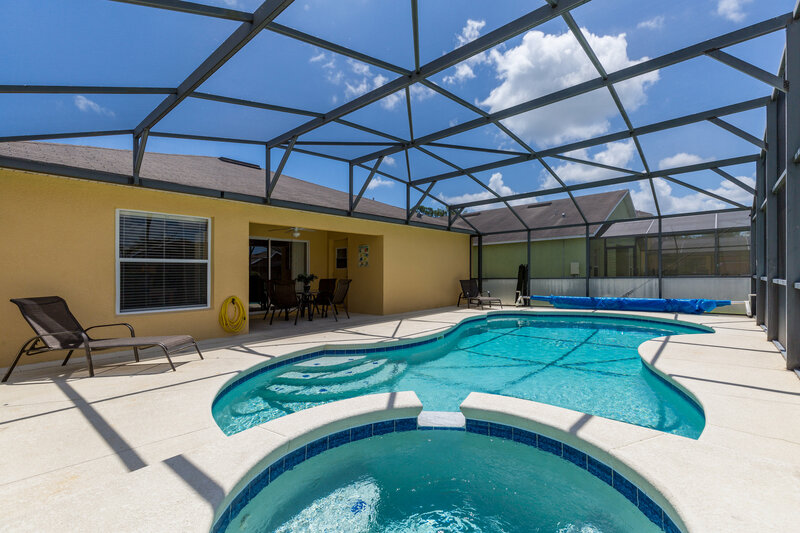 We found that we could rent this three bedroom house with a private pool and get a rental car for about $50 more than staying at a less expensive Disney Hotel. 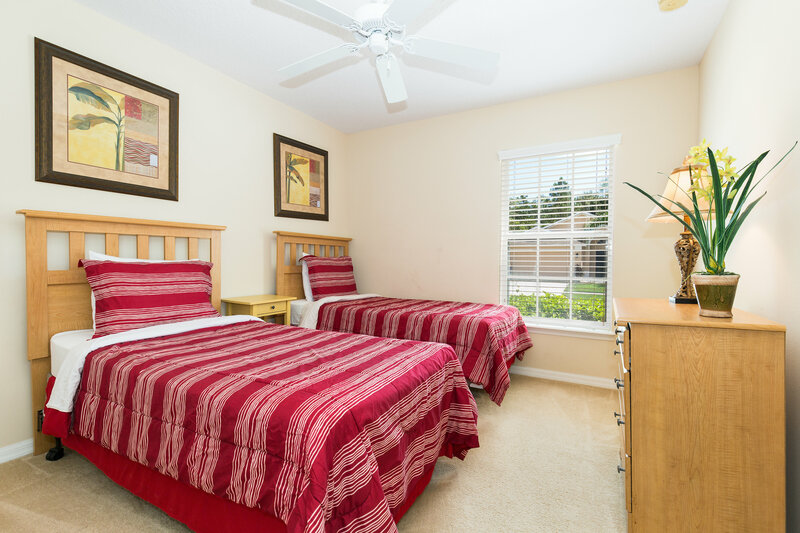 We've stayed at other Florida Spirit properties and thoroughly enjoyed our stay. 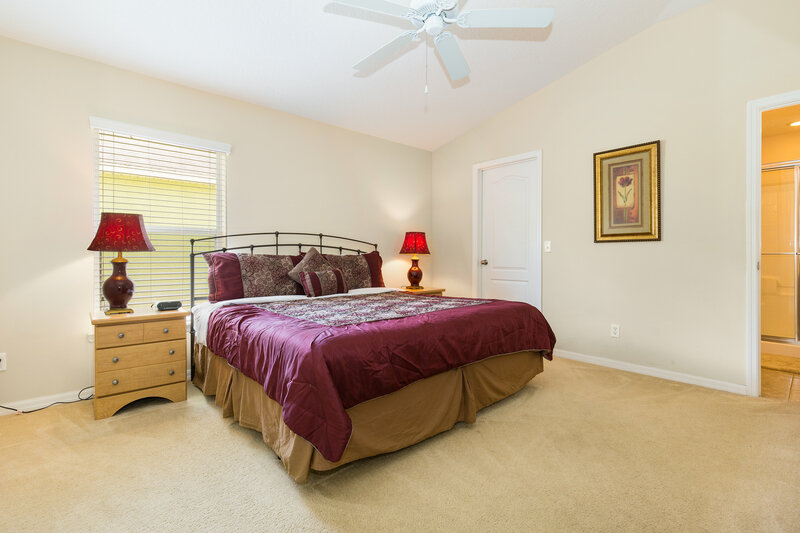 This property seems to be at the more value end of the properties, but was still clean and nice. 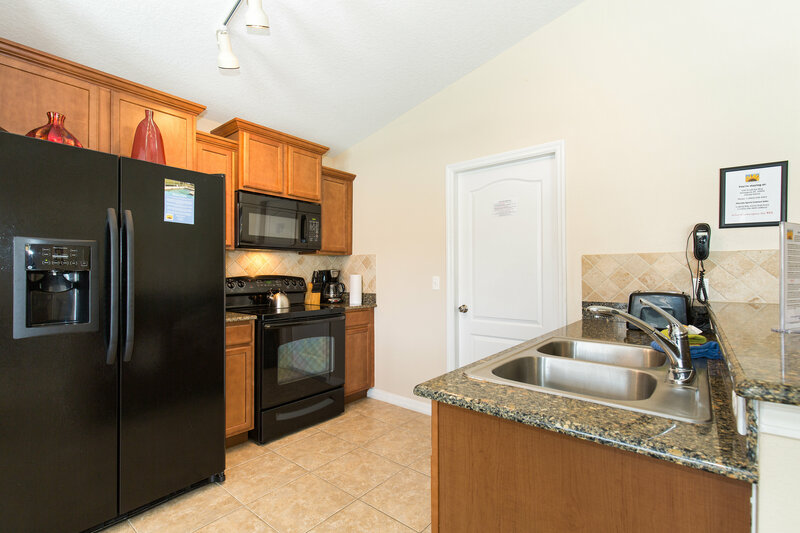 The kitchen is tiny and not stocked with extras you sometimes find in rentals, such as spices or other items left by previous renters, so if you plan to cook, please be aware that you will need to get all the ingredients. The televisions are very small, but have cable. We didn't notice the usual DVD player or movies, but may have missed it. We also had problems with the internet because someone evidently changed the network name and password and the Florida Spirit people couldn't fix it. We stopped asking and just used our cell phones and hot spots. HAving your own pool is a great thing! Not too many pool toys, though, so you might want to bring/get your own, especially if you have small kids. 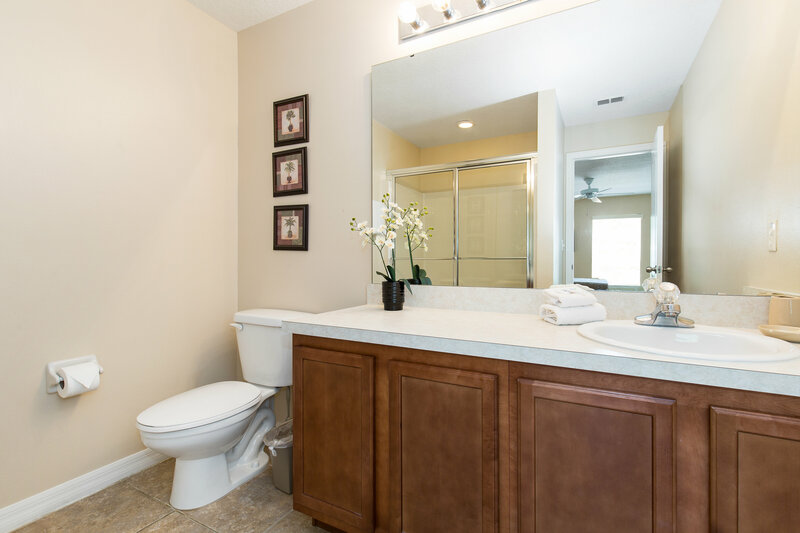 A few minor upgrades would greatly enhance this property. The initial supplies of toilet paper and paper towels are very cheap quality. 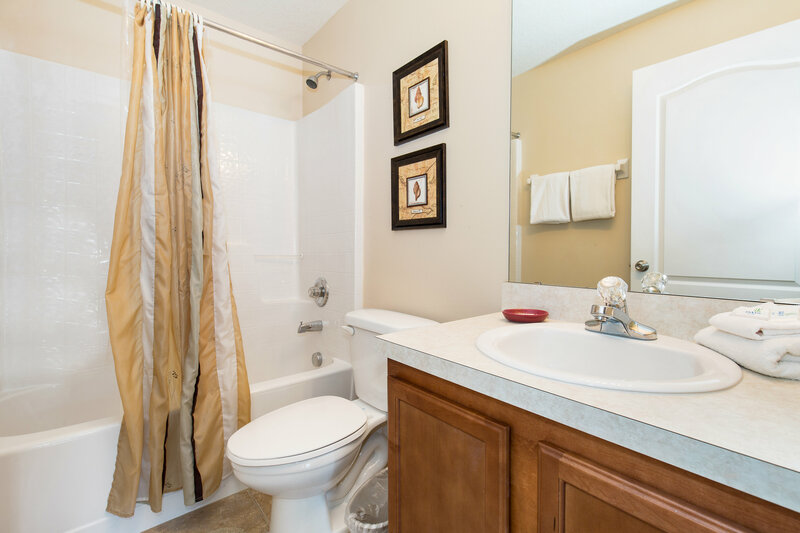 Better quality would cost an insignificant amount and improve the rental experience. Also, an upgrade to larger smart TVs would be great and relatively inexpensive. Allow previous renters to leave spices and other non-perishable items that would enhance the experience because we had a kitchen to cook in, but didn't want to spend money on spices, syrup or other items that we'd only use a small amount of and then toss out. 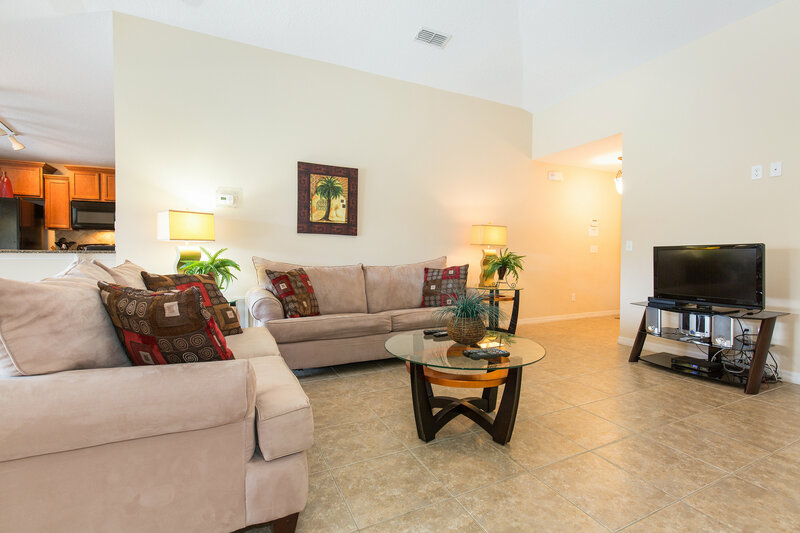 We had a great stay at Sandy Oasis! Despite the homes being close, it was a quiet neighborhood. The location was very convenient for drives to the major theme parks. Only complaints would be that the beds are bit uncomfortable and the living room couch has seen better days. Overall, we had a fantastic time and would recommend this nice home. 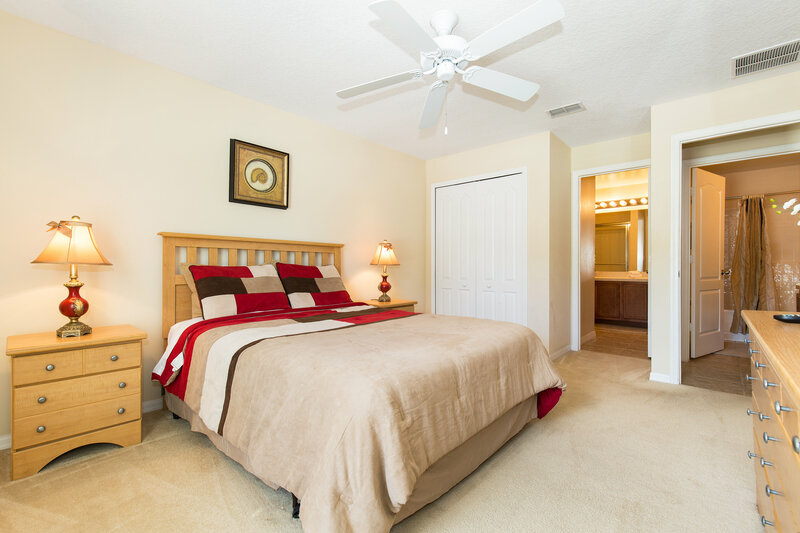 Helpful management staff, timely information, clean rental property, warm pool and hot tub!! Enjoyed our stay at the Sandy Oasis! We were happy with our stay at the Sandy Oasis. One thing I would recommend - is possibly a vending machine with single serving laundry soap, and dish soap. 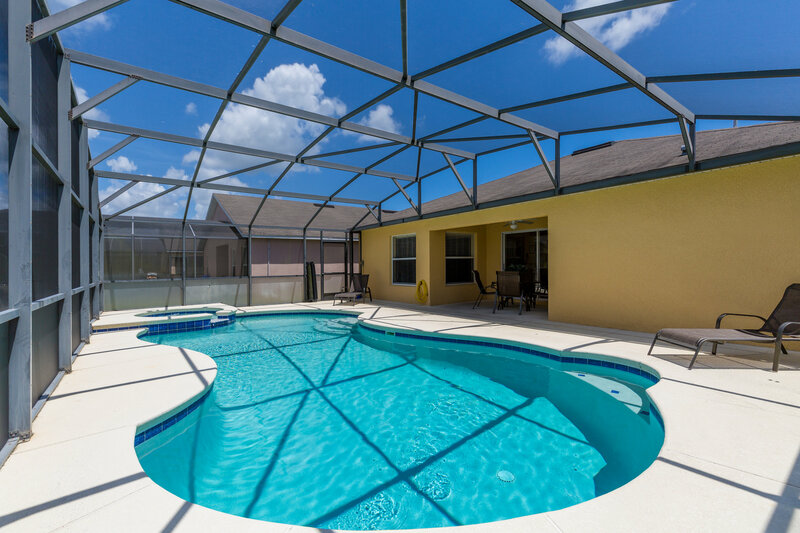 This is the 2nd time I've rented from Florida Spirit - and have recommended, and will continue recommending your rentals, as well as this house specifically. One of the best places that I have ever rented! Very good experience for me and my family! It is amazingly peaceful and we felt like we were at home!!! !